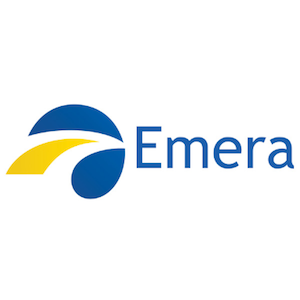 Emera Inc. is a leading North American diversified energy and services company with assets worth $30 billion. The company engages in the generation, transmission and distribution of electricity and gas, and provides other utility energy services. Emera Inc. has operations in Canada, the USA and in four Caribbean countries. The company serves a diverse base of residential, commercial as well as industrial customers. It operates a balanced and diversified portfolio consisting of ~90% regulated assets in electric utilities, gas LDCs; and unregulated gas-fired generation across North America. Emera reports its results in six operating segments: Emera Florida and New Mexico, Nova Scotia Power Inc. (“NSPI”), Emera Maine, Emera Caribbean, Emera Energy, and Corporate & Other. The company invests in electricity generation, transmission and distribution; gas transmission and distribution; and utility energy services. It also has investments in renewable energy assets. Emera has been turning its focus towards a more regulated asset portfolio. Over 90% of the company’s earnings are from regulated businesses. The company operates a strong regulated asset base, which provide earnings diversity, capacity and quality. Emera is also well-diversified by geographies and regulatory jurisdiction. Given Emera’s experience and capabilities in the energy industry, it should benefit from significant investment opportunities in the North American energy market. With a rich history in the energy industry, the company has developed extensive relations with customers and borrowers. Emera’s ability to easily raise capital at attractive rates has been a strong enabler of its growth. The company is growing both organically and through acquisitions. Emera completed the largest acquisition, of TECO Energy (adding lucrative assets in New Mexico and Florida), ever made by the company and also finished the Maritime Link Project which improves earnings quality. In order to better serve its customers at times of natural calamities and power outage, Emera continues to model weather to better understand system impacts and restore energy at a faster pace. Further, Emera is on track to meet a minimum 40% renewable standard by 2020. Growing trends of investment in renewable energy, natural gas and new transmission infrastructure should act as tailwinds. Emera has a target to achieve at least 75% of its net income from rate-regulated businesses. It owns a strong regulated project pipeline in constructive regulatory environments, which should drive its top line growth. The company is also estimating its rate base to grow at a CAGR of more than 6% through 2020. Emera is a Canadian Dividend Aristocrat with a solid history of growing dividends. It has achieved a dividend per share growth CAGR of 9% over the last decade. The company increased its latest dividend payout by 4% and has a high yield of 5%. Emera’s earnings have also increased at 7.7% CAGR over the last five years. Addition of TECO and completion of the Maritime Link further improves earnings quality. The company is experiencing increasing YTD earnings and cash flows, driven by load growth, solar investments and favourable market conditions in key service areas. Emera operates in stronger economic growth markets which offer superior capital structures and higher ROEs. The company targets 4%-5% annual dividend growth through 2021 and average dividend payout ratio of 70% to 75% of adjusted net income. The company has been an excellent dividend growth stock raising its payouts in line with its targeted annual growth rate through 2020. Emera’s rate-regulated utilities support strong, consistent earnings and cash flow. In its latest quarterly results, Emera highlighted that it is well positioned to meet its capital commitments over 2019-2021 majorly through internally generated cash flows and select asset sales. The company’s significant regulated rate base investment opportunities should drive both value for customers and investment returns for shareholders in future. A strong investment-grade project pipeline, regulated assets and solid earnings should help the company maintain a mid to high single digit dividend growth in the future. Emera Inc. competes with several utility companies having a huge presence in the US and Canada. Fortis is a leading Canadian utility company with assets worth $50 billion and operating through ten utility operators. About 60% of its business is in the US and the remaining 40% is from Canada. Other large competitors are Brookfield Infrastructure Partners TSE:BIP.UN and Canadian Utilities TSE:CU, a subsidiary of ATCO TSE:ACO.X. Canadian Utilities is one of the biggest utilities in Canada, with more than 90% regulated earnings. Algonquin Power & Utilities is another diversified generation, transmission and distribution utility based in North America. Emera’s businesses are well positioned to capitalize on the robust growth opportunities at hand. A proven history of strong revenues and earnings, and good visibility of future cash flows should support Emera’s future dividend growth. As with many regulated utilities, you are buying a regulated cashflow business for income more than for growth. Predictability and consistency is what you get out of Emera.